Bio-Identical Hormone Replacement Therapy (BHRT) is safe, effective and can increase libido, energy, strength and decrease age-related symptoms. At some point, in the lives of both men and women, the endocrine glands fail to maintain adequate hormone levels. The older we get, the more depleted our hormones become. Replacing those hormones leads to a happier, healthier life. What are you waiting for? Do I Have a Hormone Imbalance? At some point, in the lives of both men and women, the endocrine glands fail to maintain adequate hormone levels. The older we get, the more depleted our hormones become. Replacing those hormones leads to a happier, healthier life. If you are experiencing any of these symptoms, you may be a candidate for Bio-Identical Hormone Replacement Therapy. Since 2004 we have been one of the premiere, internationally recognized and sought-after practices to properly diagnose and treat hormone imbalances and deficiencies. Bio-Identical hormones are the safest, most natural way for your body to recognize, metabolize and replace depleted hormones. Women in many different stages of life may benefit from Hormone Replacement Therapy. They have increased energy and libido, decreased stress or depression levels. Have you heard of Low-T? Testosterone levels in the majority of males decrease substantially after age 55. Get your Manliness back today! During your first visit, our physicians will spend an average of 45 minutes with you to discuss your past and present health, symptoms, future goals, questions and concerns. Every office visit there after is an average of 30 minutes to further your education, concentrate on your overall wellness and optimize your health. When hormone levels decrease past a certain point for both men and women, replacing them becomes not only desirable, but necessary for optimal function, health and longevity. Bio-Identical simply means that the hormone is exactly the same molecular structure as that which is made naturally by your body. This is important because your body recognizes it as natural and can metabolize it normally. Using Bio-Identical Hormones and administering them in the most physiologic manner possible is the safest and most effective way to regain hormone balance. Find Specific Information About How Hormone Replacement Therapy Can Help You. Choose Your Gender to Continue. Bio-Identical simply means that the hormone is exactly the same molecular structure as that which is made naturally by your body. This is important because your body recognizes it as natural and can metabolize it normally. Using Bio-Identical Hormones and administering them in the most physiologic manner possible is the safest and most effective way to regain hormone balance. Want to know more? Dive into the science and our methods by clicking on one of the pictures below. Generally women will become deficient in progesterone and/or testosterone in their late 30′s to early 40′s. A lack of estrogen usually doesn’t occur until shortly before or at menopause (average age of 51). Replacing all three hormones after menopause is usually necessary for optimal hormone balance, but in many cases replacing progesterone or testosterone before menopause can have a large benefit. Replacement of each hormone offers unique benefits for decreasing adverse symptoms and preventing future disease. Considering Hormone Replacement Therapy? Barraged with conflicting messages about its safety? Do you wish you could cut through the confusion and find out exactly what you stand to gain or lose if you choose the HRT path? 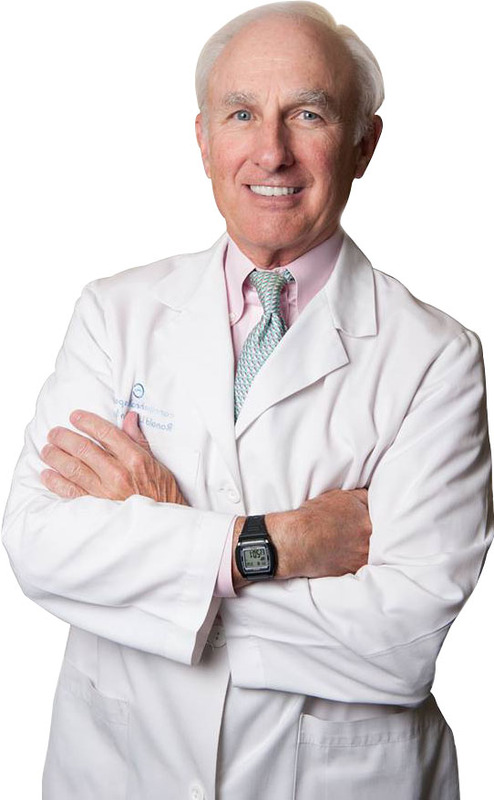 Dr. Brown wrote one of the most highly-acclaimed and medically sited books about Hormone Replacement Therapy, The Youth Effect and we have successfully improved the lives of over 10,000 individuals with our methods. Your experience will be different from the first hour you will spend with one of our Medical Doctors, through the results you will achieve. 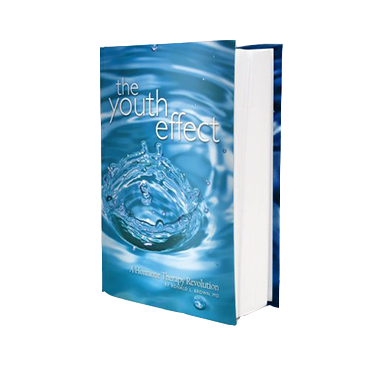 In The Youth Effect, Dr. Brown offers a clear, concise view to the heart of these weighty matters. Here, you’ll learn why just about everything you’ve read in the media about HRT is wrong. Read the forward to Dr. Brown’s book here, or purchase a digital copy for iPad or Kindle on the Amazon store.